A lot of new folks are starting to realize that the outlook in North America is every bit as grim as the reality in European countries like Greece, Spain, Portugal and a host of others. When even the mainstream media is making dire predictions, the writing is truly on the wall. The thing is, I’m the eternal optimist, and I don’t believe that it really IS too late. I don’t believe that you are screwed, even if tomorrow is the date of your first stockpile shopping trip! If the stores are open, there’s still time. While I agree that the situation is dire and that economic doom is getting closer every day, if you’re reading this site and others like it, you’ve taken the first step to preparedness already – just like a 12-Step program for addiction, you have recognized and admitted the problem. This, in and of itself, puts you in the company of an estimated 3 million preppers who are aware that life as we know it today could change in the blink of an eye! This recognition of the need to prepare puts you ahead of “the herd”. This means that you will look at current events differently. This means that you will think critically when presented with information via the media. This means that you will truly weigh the pros and cons of fiat currency that you intend to spend. This means that when you shop, you aren’t just looking to feed your family until the next grocery trip. Even if you just have a little inkling in the back of your mind that things are not as they ought to be, you have crossed a thresh-hold and you can choose whether you want to step in to awareness or slam the door on that uneasy feeling and go about your life, doing things the way you have always done them. 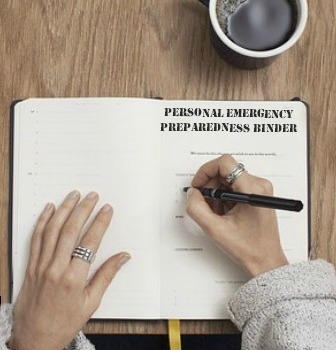 If you’re still reading, then you may have decided to come on in and join the ranks of the prepared! While it’s late in the game we aren’t in the last inning just yet – so let’s get started! The wake-up call for many of us is a downturn in finances. While it’s ideal to begin stocking up while your income is still good, don’t be discouraged if you’ve taken a financial hit. You won’t be able to buy a year’s supply in one marathon shopping trip but you can empower yourself by getting started. Once you’ve figured out where you are as far as supplies are concerned, you must figure out a way to finance your prepping endeavors. Your budget may be so tight that you can barely keep the lights on but there is still hope. When you change the way you shop, you’ll soon find that some of the budgetary stress is relieved. But first things first, you have to free up enough money to get started. You might think that the week after Christmas is a terrible time to get started on something that costs money, but in actuality, you will probably never be in a better position to do so. If your house is anything like mine, you probably have a whole refrigerator full of holiday leftovers – resist the urge to do your normal weekly shopping trip and feed your family leftovers combined with the goods you have in your pantry. Use that money that you would normally spend for groceries and let’s get started! No matter how small your budget is, you can begin building security for your family. I am basing these prices on my teeny tiny small-town grocery store, this week. You may be able to get more, based on what’s on sale in your area. If you’ve read my other articles, you may think these lists are in conflict with the “organic” theme. While I’d certainly love to see everyone give Monsanto the cold shoulder by buying local and organic, it’s just not always feasible, especially when you are just getting started. I’d rather see people begin to take control by having a supply like the one listed here – something that when combined with the foods in the cupboards might see you through a month of hard times. What’s more, when you have this little bit of security – this one-month food investment, you can begin to build on this with healthier and more nutritious options. You can start learning how to be more self-sufficient by growing what you can, by learning to preserve food and by buying in bulk. That little voice whispering warnings is telling you something very important – it’s saying that things just aren’t right. Call it instinct, the voice of God, or a premonition – but listen and get prepared. Start right now. Even if you only have 2 weeks’ worth of food and water, that is two weeks that your family will not be hungry or thirsty. After Superstorm Sandy people were complaining that they hadn’t eaten after only two days. None of us knows how long the dollar will last. We, in North America, will be going the way of Greece – not if, but when. Natural disasters occur, interrupting the flow of commerce and the availability of goods. Jobs are lost, illnesses occur, and storms blow in. If you listen to that little voice telling you to get ready, you will not be standing in line with all of the rowdy crowds waiting for FEMA to dole out benevolence. Take the time we have left and make the most of it. Ignore the naysayers with their discouraging pronouncements that there isn’t enough time. Every single meal you put aside, every book of matches, every candle and every alternative cooking method you invest in, increases the security of your family. Focus on what you can do – and block out the static of those who say the word “can’t”. 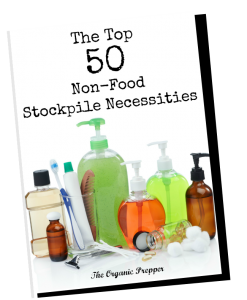 If you are an experienced prepper, what budget-friendly suggestions do you have for the newcomer? Post them here in the comments!